MBizM Sdn. Bhd. 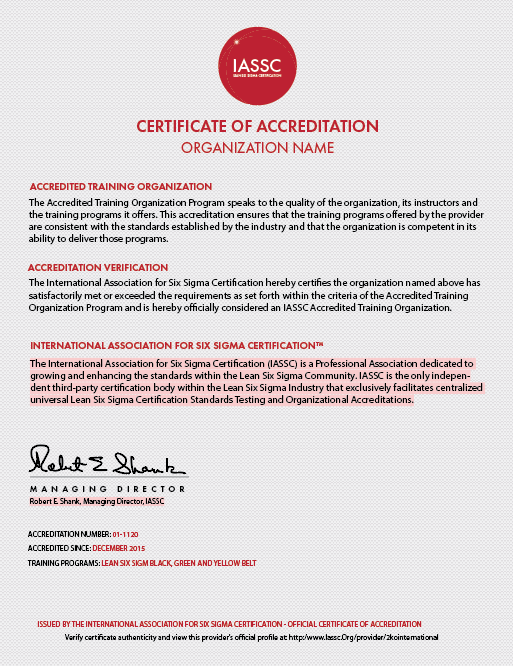 (MBizM™) offers a range of Six Sigma, Lean, Quality and Soft Skills, Training and Consultancy Programmes. MBizM™ was founded to improve the competitive position of its customers by promoting the implementation of Business Process Improvement Methodologies such as Six Sigma and Lean whilst equipping the participants with a range of quality management tools and soft skills. MBizM™ is a young and dynamic company where the company was founded by individuals that were actively involved in a wide range of projects in organizations mainly from the industrial, services and public sectors. MBizM™ provides expertise in practical tools, techniques and methodologies for attaining and maintaining competitive position and quality leadership. We know how to provide tailored solutions to meet specific customer needs while delivering world-class services in areas of Lean Six Sigma. Our trainers have decades of experience in delivering these courses to various industries in Malaysia and Overseas. Courses are delivered by certified consultants who have spent years in the industry, solving real-life problems in organizations. Our courses are designed to be dynamic. They are combined with theory, lectures, case studies, exercises, games and workshops.